Codecs for Integer encoding and decoding. 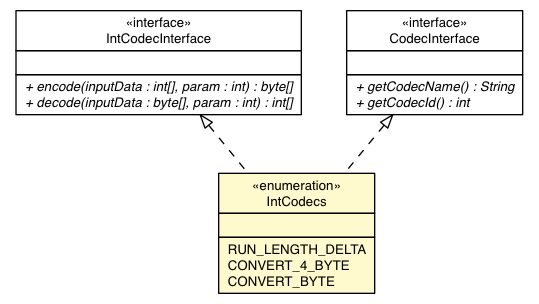 Convert integers to a byte array - encoding each integer as a four byte integer. Convert integers to a byte array - encoding each integer as a one byte integer. Encoding first performs delta encoding and then run length encoding on top. Decode a byte array from an input array. Get the codec from an input byte.